Medibotics, the merging of medicine, robotics, and Information Technology, is a program that uses LEGO™ Mindstorms for school kits with NXT software to introduce students and teachers to engineering and Information Technology through the use of robotics. The curriculum, developed for the Medibotics program, was a collaboration of university faculty and secondary school teachers, incorporating Information Technology, engineering, and robotics into classroom lessons by teaching students to design and build robots to solve biomedical engineering problems. Teachers receive intensive professional development in the integration of the Medibotics curriculum and the robotics kits into their classroom instruction and in methods to develop standards-based lesson plans as the curricula are aligned with the New Jersey Core Curriculum Content Standards (NJCCCS) and national standards in science and mathematics. A workbook of lessons for building robots to perform simulated computer-assisted surgeries, with elements of actual medical procedures, has been developed. This chapter describes the rationale behind this program, its structure, and evaluation. The Center for Pre-College Programs (CPCP) at New Jersey Institute of Technology (NJIT) is a comprehensive Center for Education, Research & Service in support of pre-college education in New Jersey, where it offers initiatives and programs designed to increase educational opportunities for inner-city youngsters while improving the quality of education at the elementary and secondary grades in the City of Newark, its environs, and the state of New Jersey. Since its establishment in 1978, NJIT’s CPCP has evolved into an academic service department helping a widening geographical audience of over 4,000 students, teachers, parents and educational professionals from kindergarten through the twelfth grade. For over 35 years the Center has provided technical assistance to schools and districts in New Jersey helping them expand and develop innovative science, technology, engineering and mathematics (STEM) programs while remaining aligned with the instruction, curriculum, and assessment requirements of the New Jersey Core Curriculum Content Standards (NJCCCS). Professional development of teachers provides an enhanced learning environment for their students as well. NJIT faculty continually work with teachers of science, technology, engineering and mathematics to create connections between what is taught in the classroom with applications in the workplace while maintaining the standards-based curricula that teachers must adhere to in the classroom. To help more students appreciate the role of information technology (IT) and engineering in today’s society, and to increase the number of students interested in pursuing careers in STEM, particularly those in generally underrepresented populations, CPCP has developed pre-engineering curricula centered on the unifying topic of robotics using biomedical engineering applications. “Medibotics: The Merging of Medicine, Robotics, and Information Technology” incorporates grade-appropriate prototypes of robotic surgeries, using LEGO Mindstorms Robotics kits for Schools and NXT Software, into middle and high school STEM curricula (Kimmel, Carpinelli, Burr-Alexander, Hirsch & Rockland, 2008). 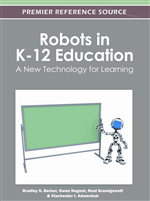 Because of its multidisciplinary nature, the study of robotics in the classroom can be a valuable tool for the practical, hands-on application of concepts across various engineering, science, and mathematics concepts (Beer, Chiel & Drushel, 1999). Multiple fields of science, such as biology and medicine, and engineering, from electrical engineering (sensors and motors) to mechanical engineering and physics (gears, axles and hinges) are combined with information technology (the programming languages that help support and control robotic devises) to form a teaching tool that enables students to recognize direct links between their classroom lessons and engineering in the real world. The Medibotics curriculum has been developed through a collaboration of university faculty and secondary school teachers as a way for students to apply classroom lessons in robotics to real-life problems rather than just robotics for robotics sake. Students learn to design and build robots to perform simulated computer-assisted surgeries, which have elements of actual medical procedures. Teachers participate in an intensive professional development program to introduce them to Medibotics, and guide them in incorporating the curriculum into their classroom teaching. The professional development program has been aligned with those factors considered to be critical for effective professional development, including: engaging teachers in practicing concrete tasks related to teaching, assessment, and observation of learning; drawing upon teachers' questions, inquiry, and experiences; including time for collaboration, sharing and exchange of ideas and practices; building on teachers' current work with students; and providing modeling, coaching, and problem-solving around specific areas of practice. Teachers also receive instruction on how to develop standards-based lesson plans as the Medibotics curriculum is aligned with the New Jersey Core Curriculum Content Standards (NJ-CCCS) and national standards in science and mathematics. A comprehensive set of evaluation tools was developed to measure the impact of the project on teachers’ skills and knowledge, as well as their students’ learning and their attitudes toward engineering. The evaluation tools include a Teachers’ Concerns Questionnaire, a Readiness to Teach Questionnaire and surveys of Attitudes Towards and Knowledge of Engineering for both teachers and students. A capstone experience was developed to ascertain whether teachers acquired and were able to apply the skills and knowledge emphasized in the professional development program.